The plasminogen-free fibrin plate assay method was used to isolate Bacillus subtilis MX-6, a strain with high production of nattokinase from Chinese douchi. The presence of aprN, a gene-encoding nattokinase, was verified with PCR method. The predicted amino acid sequence was aligned with homologous sequences, and a phylogenetic tree was constructed. Nattokinase was sublimated with ammonium sulfate, using a DEAE-Sepharose Fast Flow column, a CM-Sepharose Fast Flow column and a Sephadex G-75 gel filtration column. SDS-PAGE analysis indicated that the molecular weight of the purified nattokinase from Bacillus subtilis MX-6 was about 28 kDa. Fermentation of Bacillus subtilis MX-6 nattokinase showed that nattokinase production was maximized after 72 h; the diameter of clear zone reached 21.60 mm on the plasminogen-free fibrin plate. 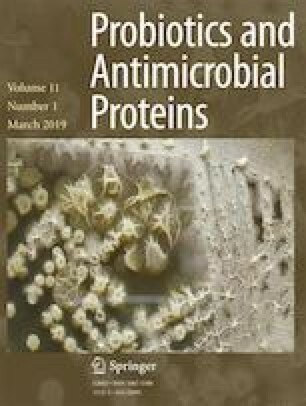 Nattokinase production by Bacillus subtilis MX-6 increased significantly after supplementation with supernatant I, supernatant II and soy peptone but decreased substantially after the addition of amino acids. This result indicated that the nattokinase production by B. subtilis MX-6 might be induced by soybean polypeptides. The addition of MgSO4 and CaCl2 increased B. subtilis MX-6 nattokinase production. Li-Li Man, Dian-Jun Xiang and Chun-Lan Zhang contributed equally to this work. We express our gratitude to Yan-Chen Man, Chun-Hua Guo and Qian-Rong Xiang for their technical assistance. Li-Li Man performed the experiments and contributed significantly to the analysis and manuscript preparation. Dian-Jun Xiang conceived and designed the experiments. Chun-Lan Zhang performed the data analyses. This study was supported by the Mudanjiang Science and Technology Plan Project of China (Nos. G2013n0012 and Z2013n018).